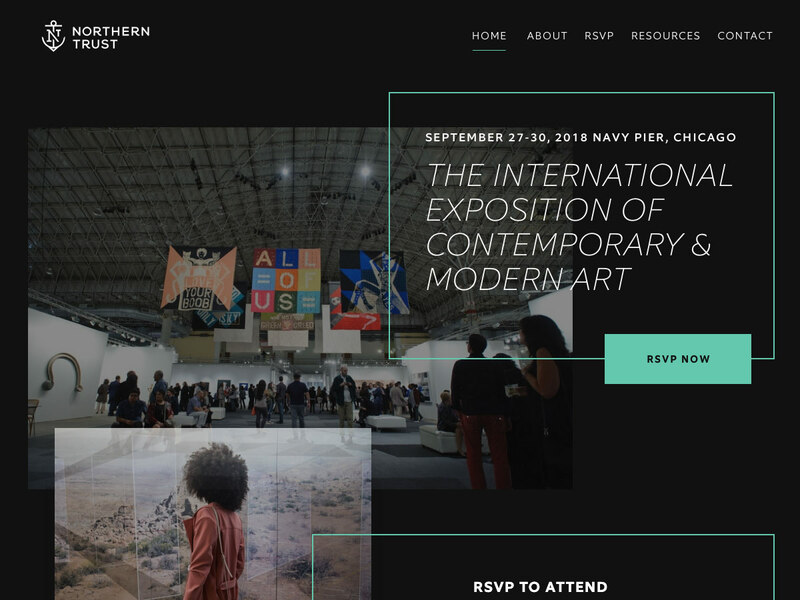 The final page was designed to be fully-responsive for mobile devices. 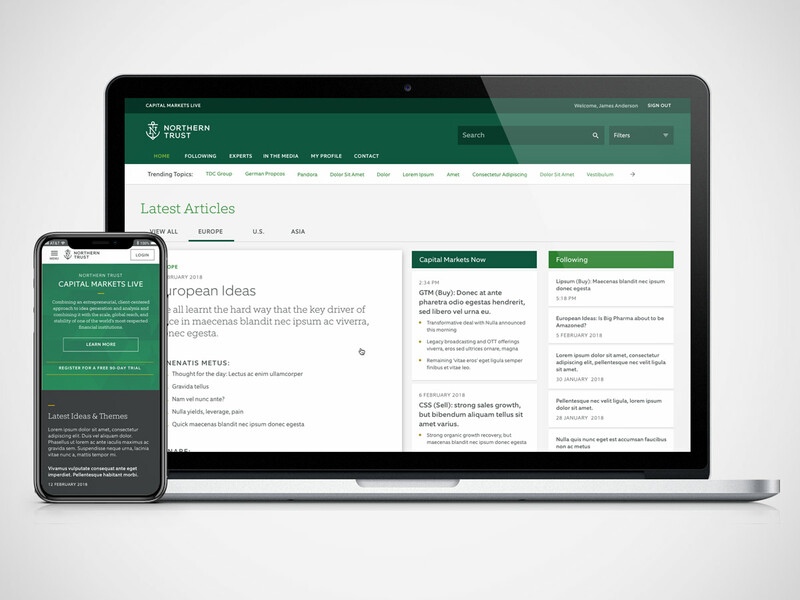 Flexshares ETFs span over 25 funds and $16.3 billion in assets under management, and represent Northern Trust’s flagship ETF financial products. 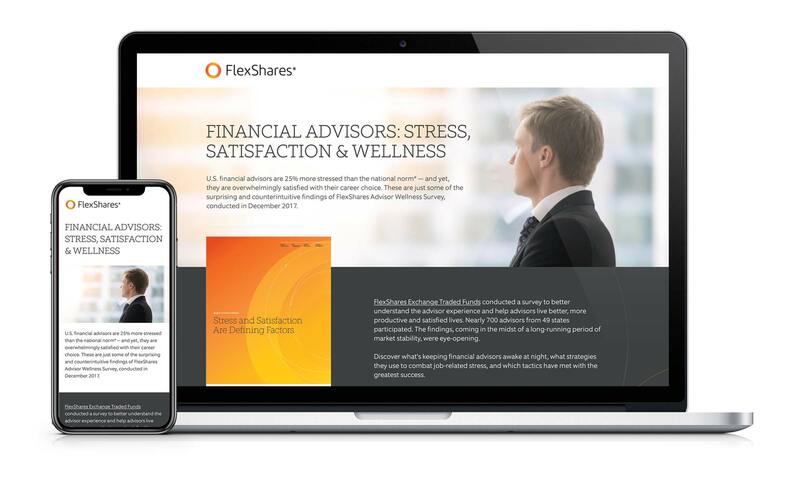 Following a survey conducted by the internal marketing team about stress in the workplace, Flexshares looked to find a way, using a comprehensive digital campaign, to create industry awareness, provide ways users could help avoid it, and encourage them to sign up to find out more. I created a concept and visual design for a landing page for financial advisors to bring awareness to this issue. The financial advisor audience is strongly adverse to marketing, so the page needed to stand out from other marketing campaigns to drive engagement with this unique topic. ‍The design would need to accommodate multiple, flexible components and incorporate different images throughout the life of the year-long campaign, using a new, custom-designed template. 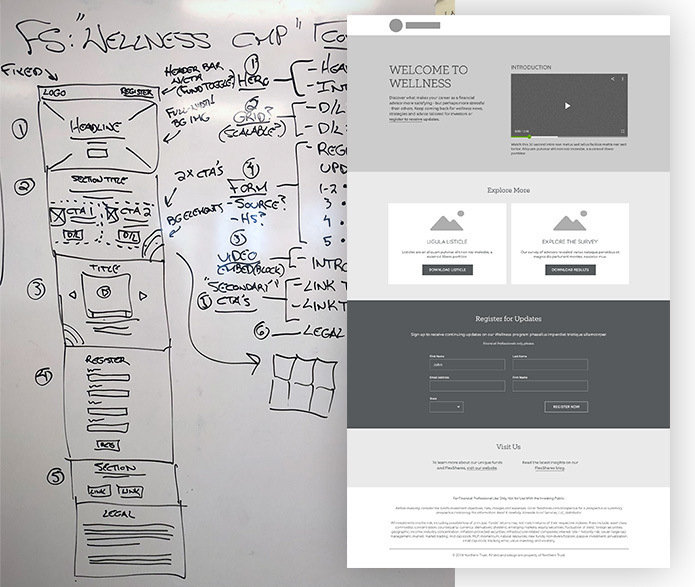 Wireframes were originally created as a sketch on whiteboard, before being recreated in Sketch at a higher fidelity. Also, following a recent rebranding, the new brand assets included bright, sharp shades of red and orange - colors that would typically evoke a strong, emotional reaction. I softened the visual elements to complement the theme of the campaign and reflect a sense of calm and well-being. 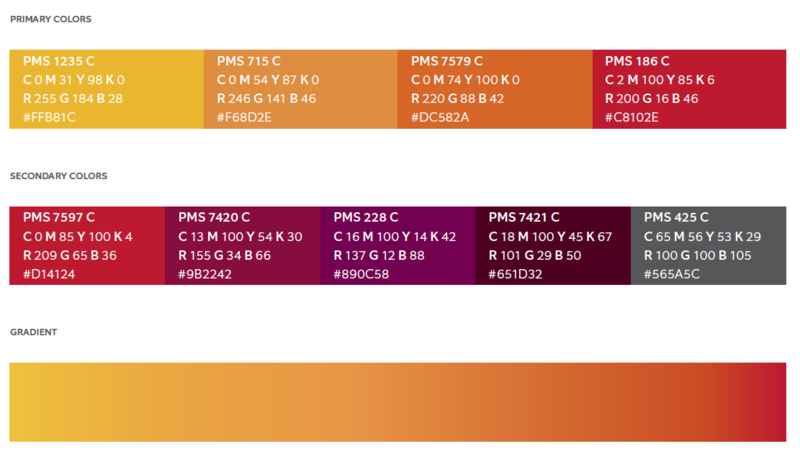 The Flexshares brand colors feature bright, emotionally-tinged shades. Following a survey about stress in the workplace, Flexshares wanted to create awareness of stress within the industry, followed by ways users could help avoid it and allow them to sign up to find out more. A long-form scrolling page would best tell the campaign story. I pulled out neutral tones and shades from the color palette, created different gradient backgrounds, and deconstructed some of the elements to “soften” the brand elements. I incorporated Flexshares’ “swirls," a core element of the brand, to help tie together the different content sections and provide a linear direction to guide the user down the page. Campaign imagery was used throughout as both background and foreground elements, aligning with all pieces of ad creative. I designed to ADA “AA” color contrast standards in all text blocks and calls-to-action to ensure accessibility and readability. I designed different flexible modules to allow for adding more content over time, such as dynamic carousels, that can expand as needed when more content is available. The final visual design, with final content. The design was extremely well-received by the client, and they’ve already moved forward with plans to utilize the page as a template for other similar marketing campaigns. The page has already out-performed all previous campaign pages within the first two months of launch, reaching 50% of the yearly goal set for engagement.